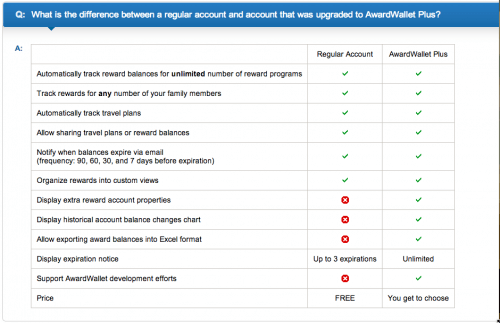 AwardWallet is the best way to keep track of your miles, rewards, points, and frequent flyer numbers. The best part about it is that it is completely free! AwardWallet is a must for any manufactured spender or frequent flyer. In fact, it is great for anyone that is apart of a reward system! AwardWallet supports over 600 programs including airlines, hotels, credit cards, gas stations, rental cars, and many others. AwardWallet also lets you manage your travel itineraries. When you fly a lot or have a lot of credit cards, it can be very challenging to keep track of your points and miles. AwardWallet makes it very easy to see all of your rewards in one spot. It also can keep track of your account numbers, so you do not need to memorize them for each airline. Another great use of AwardWallet, is for businesses and families. You can keep track of multiple accounts and multiple people. First, go to AwardWallet.com (Disclaimer: This is an affiliate link. Thank you for your support!). Select “Login to AwardWallet”. They make this part a little confusing, because you do not have a login yet, but that is where you can create one. When you click “Login with AwardWallet” you will be brought to the main page. Now select “Sign up” on this page. Sign up is quick and easy with AwardWallet. Simply enter you username, email, password, ect. For coupon code you can enter: free-urxsab. That code only works for the first 10 people to use it. That code upgrades your account for 6 months. I will go over what the upgrade does, later in the post. Once you are done registering, you will see a screen similar to the one below. 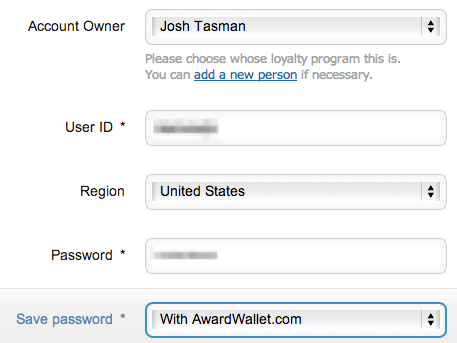 I would appreciate it if you would select “Give credit to Josh Tasman for inviting me to AwardWallet!”. Thank you for the support! After finishing sign up, you will be brought to your new AwardWallet home page! A pop up will appear that allows you to select “Add a New Award Program”. Do just that. Here’s where things start to get fun. You can either search for your award program or look under the award program’s category. Searching is much faster. For this example I will add my Citi Dividend credit card, because I have done a lot of manufactured spending on that card this past month and I want to know when the points post. Under “Account Owner” you can select whos account this is. For families or businesses this is very useful, especially if you participate in manufactured spending. 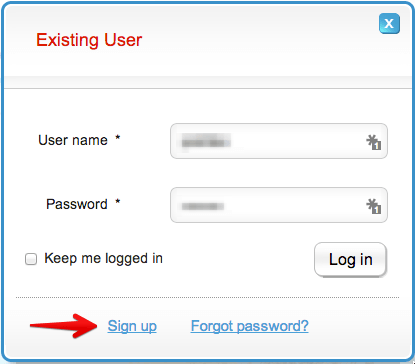 “User ID” is the login ID for your award program’s account. “Region” is the region your account is in. “Password” is the password for your award program. “Save password” gives you the option to save your login info with AwardWallet or save it locally on your computer. I save mine with AwardWallet, because I can then view my AwardWallet on any computer or my mobile app. If you do not feel comfortable doing that, I would suggest saving it locally. Once you have added your account and AwardWallet has verified the information, you will be able to see your account on the home page. 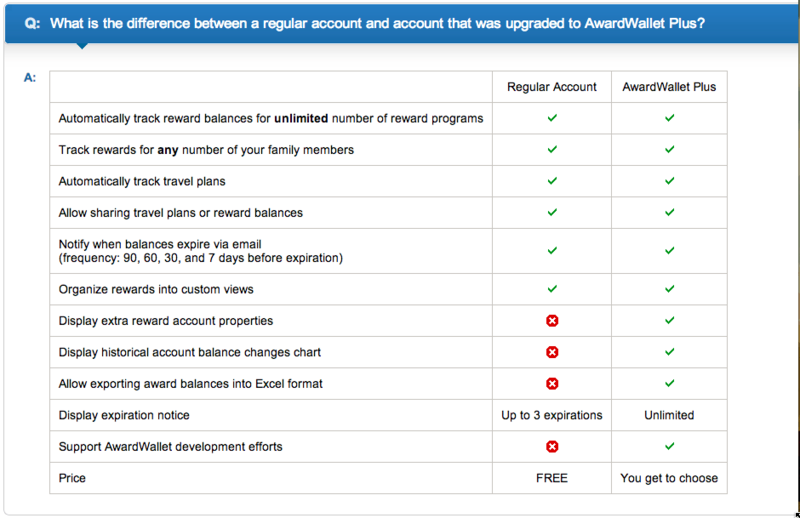 Most award programs will update your rewards automatically, but some airlines such as Delta and Southwest have been blocking AwardWallet. That means your points/miles will not show up unless you enter them manually. From left to right you can see the name of the program, your login ID, your status with the airline (if applicable), your points/miles/cash back, if and when your points expire, and a refresh/edit/trash section. AwardWallet will then file each award program under what type of account it is (credit card, airline, hotel, ect), which makes it very easy to navigate. Now, you can keep adding all of your accounts from airlines to credit cards to clothing stores. AwardWallet OneCard is a credit card sized plastic card with magnetic strip (which enables you to check in for your flights at airport kiosks ). The card will have your personal account numbers and program phone numbers printed on the front and back sides. The card can contain up to 30 different loyalty program accounts listed. We have two types of cards: gold and silver. Those AwardWallet members who have over 1 million miles and points will get a gold card and those who have fewer than 1 million miles and points will get a silver card. The cards will be shipped internationally as well as within United States via regular United States Postal Service. OneCard is given to anyone who donates or upgrades their AwardWallet account. If you already have Plus membership and donate, your Plus membership is automatically extended for another 6 months. You will get 1 OneCard credit if you donate $10, 3 credits for $25, 6 credits for $50, etc. This is a great card for someone that either doesn’t have a smart phone or prefers to have a hard copy. I an always on my iPhone, so personally I have not gotten a One Card. Instead, I just use their mobile app. If you want to update your accounts, simply “Update All” in the top right corner of the home page. If you have any issues using AwardWallet, you can either comment or view their FAQs. Can I have two Chase Freedom Cards? The Amazon Credit Card Review: Does It Make Sense to Sign Up?